A small town hides big secrets in this atmospheric, page-turning debut mystery by an award-winning new author. After getting a note demanding his presence, Federal Agent Aaron Falk arrives in his hometown for the first time in decades to attend the funeral of his best friend, Luke. Twenty years ago when Falk was accused of murder, Luke was his alibi. Falk and his father fled under a cloud of suspicion, saved from prosecution only because of Luke’s steadfast claim that the boys had been together at the time of the crime. But now more than one person knows they didn’t tell the truth back then, and Luke is dead. Amid the worst drought in a century, Falk and the local detective question what really happened to Luke. As Falk reluctantly investigates to see if there’s more to Luke’s death than there seems to be, long-buried mysteries resurface, as do the lies that have haunted them. And Falk will find that small towns have always hidden big secrets. Aaron Falk, a federal agent, is invited back to his hometown after twenty years to attend the funeral of his childhood friend, Luke Hadler. Aaron was accused of a murder when he was younger and Luke was his alibi. But that didn’t stop Falk’s father from taking him and moving them away. But now Falk is back and him the local detective start investigating more of what happened because not everything seems to be right, even if it was an open and close case. But secrets start to come out as this mystery starts to unravel in the midst of a drought. I really enjoyed this!! I never guessed the culprit and that’s what I love about these kinds of stories. I love not being able to guess and the story was just so good. It kept me on the edge of my seat and wanting to keep reading. Aaron Falk is such a great detective and he remains to calm, even when I wasn’t. I loved the setting. I could really feel myself in the dry heat of Australia and that’s not really a setting that I see a lot in books. I will say that I was 99% certain I knew who the culprit was about 80 pages into the story but oh boy… I was totally wrong! And seeing the truth come out of everyone that they questioned was just so great and everything unraveled so well. 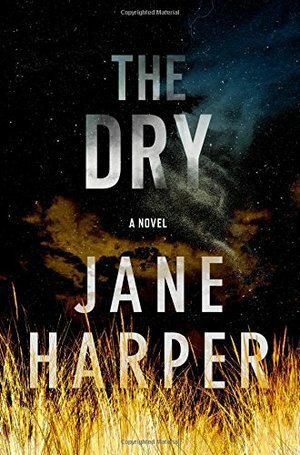 For being a debut novel for Jane Harper, I was really blown away. I’m excited to pick up her next book, Force of Nature, which follows Aaron Falk on another mystery. I highly recommend this one!